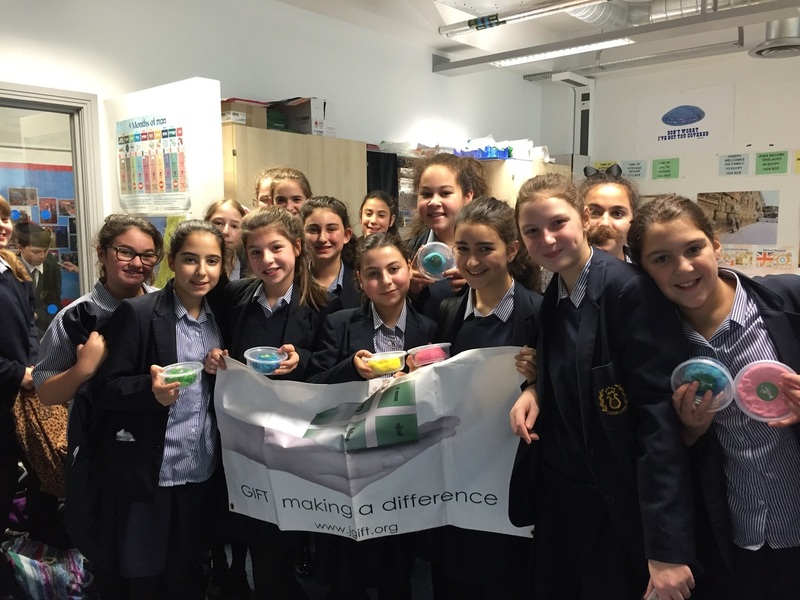 Last week GIFT charity ran a 'Lunch and Do' session in King David High School for Year 8 girls. The session was extremely well attended and the girls spent time making play dough for a special needs school called 'Aim Habanim'. (picture attached) a message of thanks from Aim Habanim. " Our children really enjoyed playing with all the different colours of play dough, thankyou all for contributing to our great sensory activities, and for making it even more fun !" On Tuesday GIFT charity ran another 'Lunch and do' session in King David High School for year 8 girls. The girls wrote beautiful and meaningful letters to IDF soldiers,and wrapped up thick woolen socks which will be sent to a base in Israel. Esther Radnor an IDF soldier, who made Aliyah form Manchester sent a message out to the Year 8 Girls , she said "Its so heart warming to know that people from outside of Israel are thinking of us and supporting us. To know that girls are volunteering in their spare time is really an incredible thing! keep up the amazing work!"